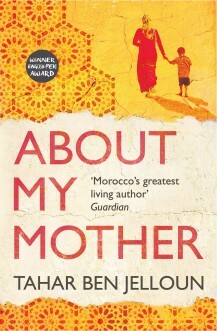 About My Mother is a combination of novel, memoir, Alzheimer’s case study and history of Moroccan domestic life. The author’s mother (or the narrator’s mother: it’s hard to see the difference) has Alzheimer’s disease and is increasingly confused in her small house. Her memory wanders and she confuses her sons and daughters for her parents and her long-dead friends and cousins. The narrator is horrified. He is dismayed, distressed, suffers resentment and is shamed by his repulsion from this meandering, strange woman. He cannot reorient himself since without the strong bond with his mother, he no longer feels secure in his identity or in her estimation of him. He explains this as a result of the Moroccan tradition of keeping the older people in the family among the young, amid generations, in the family home, until they die. But Lalla Fatma’s children have all moved away, and her husband is dead. There is no extended family for her to subside into, or to keep her flickering synapses of memory alive. 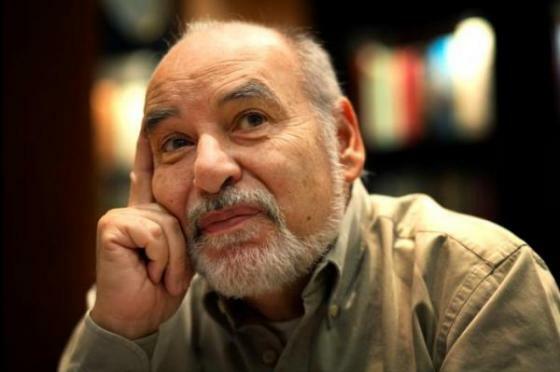 Tahar Ben Jelloun is a distinguished Moroccan novelist and writer whose writing language is French. This excellent translation by Ros Schwartz and Lulu Norman preserves the lyricism and imaginative flights as long walks through his memories are set off by Lalla Fatma’s ramblings. They are accumulatively beautiful. We don’t read any of her rants and rages, only the plaintive, irritated grumbles at worst, and lots of mild nothing-saying chatter. It’s soothing and familiar. Through her nattering about daily events he recreates her life, from her first marriage in 1936 at around the age of fifteen (she doesn’t know when she was born) to a beloved husband who died of typhoid just as her first child was born, a year later. Her next marriage was as second wife to a much older man whose first wife was bed-ridden, and all too glad for the still very young Lalla Fatma to come into the household and restore order and comfort. Her third husband was a trader in spices who was kind but not affectionate. The long passages of her recreated memories are mesmeric, but there is also dramatic action. The argument that the old are treated with respect and dignity is undermined throughout the narrative by the grumpiness and pilfering of Keltum, Lalla Fatma’s long-time servant, who has sworn never to leave her, and now complains that her life is a prison in a house that is not her own home. This is a deteriorating house, crumbling and rotting, and somehow the money the children send for repairs and a new cooker disappears. The lights break and are never mended, and the curtains are in tatters. Incontinence becomes a huge problem. Although Lalla Fatma dies surrounded by her dutiful and reasonably loving children, her death is not a good one. Her illiteracy makes her bored since she has no internal resources. She effectively lives alone, trapped in memories that are not always happy ones. This is not a cheerful read, but an inspirational one. It’s a powerful account of mental deterioration and the bonds between a mother and son. The descriptions of Moroccan living are absolutely fascinating, so for those alone I’d recommend it.